The Shape of Water has finally hit the Indian screens as it is one of the most celebrated film of 2017 moreover the oscar buzz around this is unreal. 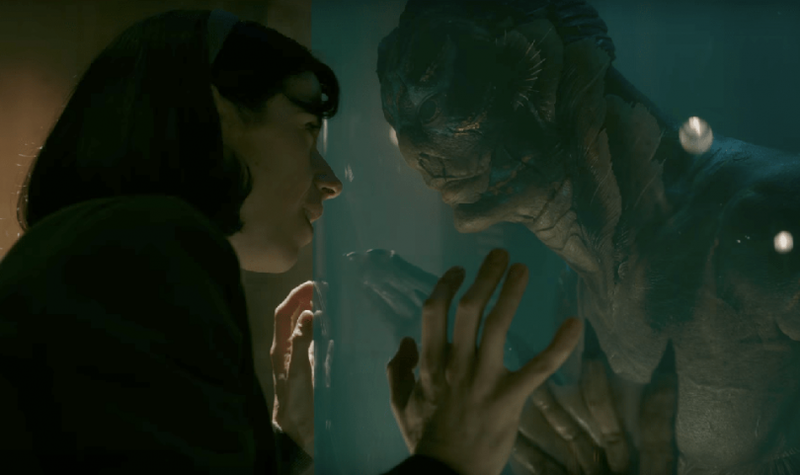 Director Guillermo Del Toro is known to mix fantasy with reality and he has mastered the art in this one because it is beautiful almost magical. Film is set in 1962 Baltimore where an Amphibian creature has taken birth after some sort of experiment and now he is taken to run by Sally Hawkin’s character or else scientist would have killed him. This creature is basically the main highlight of this film and deserves all the bliss in the world. The CGI artist have perfected the art of putting emotions in a character which essentially does not exist in real or fantasy world but still became so connected to the people embracing this fine piece of art. Del Toro has made a career out of giving births to these creatures who are perhaps the most imaginative because he hardly seems inspire from the wilderness in the actual world while designing these characters but the level of sentiment he as for them comes right out of the screen in a miraculous way. Michael Shannon as antagonist on the hunt for the creature is truly horrifying and menacing. There are not too many actors in the world who can hold the focus of spectator on screen like him in the scenes which essentially does not have much in them in form of dialogues or contexts but he is still able to convey so much with his magnificent intensity as is he is almost radiating some waves that is also getting recorded in the camera with appointed visuals. Sally Hawkins has almost done a love story with a creature that does not exist and she is remarkable. Overall any person of whatever age group should see this beautiful cinematic experience.